Healthy carpets make healthy homes, particularly to those who suffer from allergies. The benefits of cleaning your carpets are huge. Not only will the clean prolong the life of your carpet it will remove any dust mites and noticeably freshen up your home. We use a state of the art professional machine to ensure the best results possible. Any particularly bad or stubborn stains will be pre treated to aid in their removal. Prices for Carpets and Rugs start at £1.50 a square metre. We do charge a minimum of £55. 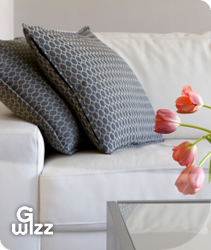 Curtains and Upholstery prices depend solely on size and work involved. An accurate quote can be given over the phone or by a free quotation visit. Deep clean your mattress it freshens up and removes any bed mites that live within the fabric which can cause allergens and lead to bad nights sleep and ultimately poor health. It will also prolong the life of your mattress, which is always a good thing. All work undertaken will be insured and guaranteed. 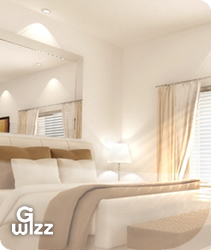 G-Wizz specialist cleaning services operate throughout the South East. Check below to see if your town is covered. Brighton, Hove, Lewes, Uckfield, Eastbourne, Bexhill, Hastings and Rye. Crawley, Horsham, Haywards Heath, Burgess Hill, Worthing, Arundel, Littlehampton, Chichester and Bognor Regis. Guilford, Gatwick, Reigate, Dorking, Woking and Haselmere. Portsmouth, Southampton, Winchester, Basingstoke and Eastleigh. Hawkhurst, Westerham, Tunbridge Wells, Maidstone, Tonbridge and Sevenoaks.